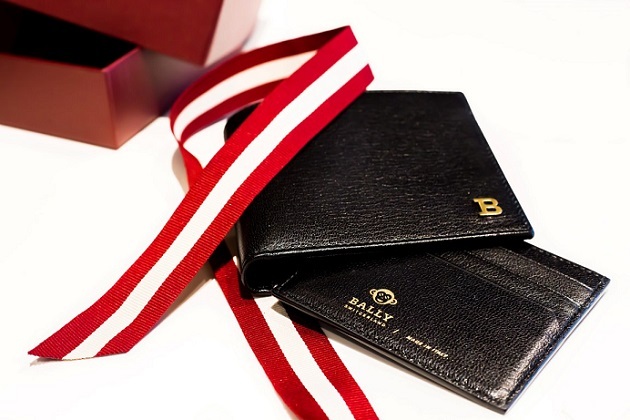 BALLY introduces its festive creations, along with a range of exquisite gifts to wish you and your dear ones happiness and luck in the new year. The Mayfair Collection offers an array of small leather goods featuring a debossed monogram of the Bally crest, highlighting your everyday lifestyle with sophisticated luxury. Crafted from scratch-resistant calf leather and lined with leather, the Binney Wallet is as elegant as it is durable. The slender and refined silhouette makes this fold-over design a timeless and versatile choice for the contemporary women. Featuring generous space and zip around design, the Grosvenor Wallet is the perfect representation of functionality and modernity. The Pembridge Wallet keeps all possessions organized without any compromise on style. Secured with an elegant fold over tab, it serves as a delicate touch to your daily style. The Metal B Chinese New Year Edition to celebrate the Year of the Monkey. This festive edition offers 3 different styles, all carrying a playful golden embossed image of monkey on the inside and a metal B logo on the front. Crafted with supple goatskin leather with a shiny finish, it takes pride of the brand’s exceptional craftsmanship and classic design, and makes a perfect festive memento. with the iconic metal B logo on the front embossed with monkey image, goatskin leather, silk lining and offers 3 different styles, from wallet to cardholder. The Lettering Collection has everything one needs to compliment a chic and effortless style. The unique texture of leather is taken from the brand’s archive, while the raised metal lettering detail is a modern twist to this classic design. Comes with calf leather, silk lining, metal lettering detail to front and offers a range of products, from wallets to cardholders. Available in black, brown and grey.